We all know about the common baby milestones – the first smile, baby’s first steps, the first tooth. But what about all those momentous milestones that aren’t in the baby books? You know, the night where you only get up five times instead of seven, or the time you managed to go to the bathroom without an audience. 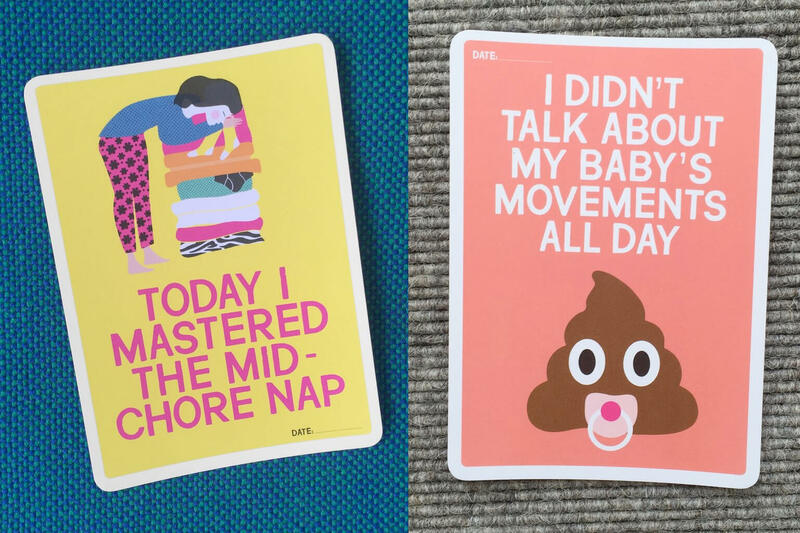 Enter these inspired ‘Mum’s Milestones’ cards, a series of brutally honest photocards that help new mums celebrate mummy victories through a series of brutally honest photocards. 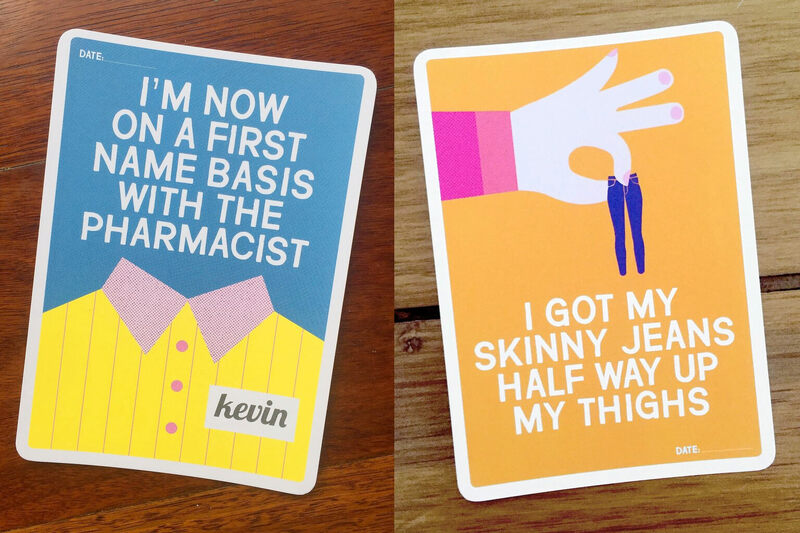 The cards have been designed by Australian mums Esti Zilber and Becky Feiner. The pair started the project after deciding their own discussions about dirty nappies, sleepless nights and changing body parts were going unrepresented in parenting products. 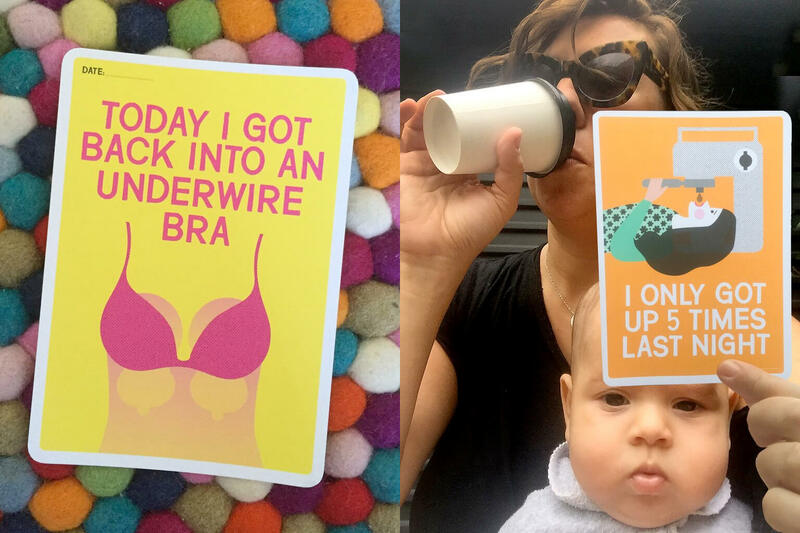 “We were spending a lot of time together as new mums, thinking about how stuff we were talking about wasn’t being reflected to us in the products out there, and what was being posted on social media,” Zilber told Mashable Australia. “We were having a laugh at how these ‘baby milestones’ were being celebrated with these beautiful photos of babies, but no one was really acknowledging what mums were going through,” she added. The cards cost $29.95 AUS (£17.50) with a portion of the profits being donated to PANDA: Perinatal Anxiety and Depression Australia.